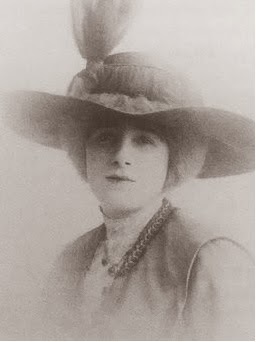 My last visit that summer was to Lady Ottoline Morrell… The artificiality of her setting offended her Bloomsburian critics. Me it delighted; I loved the old gardens and the stone-walled Tudor house… Nor did a touch of absurdity in the image she presented to the world – the swansdown trimmings of her green full-skirted dress, her rope of baroque pearls and mahogany-red coiffure – strike me as at all displeasing. 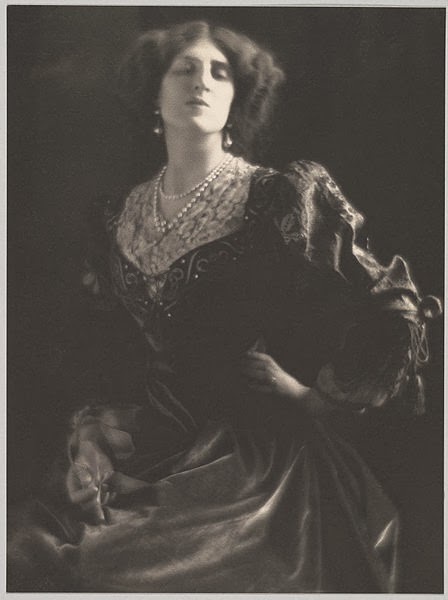 time – the 1930s - very much a young literary man on the make, so he was making friends with the key people – the Sitwells and poor Lady Ottoline turn up in all the biographies, letters and diaries of the era. Lady O was much disparaged – people were perfectly willing to accept her generous hospitality while being rude behind her back (Lytton Strachey wrote a letter from her house, presumably on her notepaper, saying: ‘it’s pretty dreary here – they’re so painfully stupid’) or making fun of her in novels. The book, Quenell's autobiography, has featured before, and we said then that he was a bête noir of Evelyn Waugh, which would prove nothing as Waugh was famously rude and unpredictable about people - but there are various stories in which, for example, Quennell makes it clear himself that he outstayed his welcome or made himself unpopular on some country-house visit. He is not really as charming as he seems to think he is, and you cringe for him at times. Waugh described Quennell as a middle-class intellectual on the fringes of literature, and that might have hurt more even than some of Waugh’s ruder comments – Quennell saw himself as a great literary stylist, and very knowledgeable. There is a strange bit in this book where he explains how ‘My love of the English language has become a superstitious cult; and, among other foibles, I go to absurd lengths to avoid repeating propositions; the reappearance of ‘by’ or ‘with’ or ‘from’, unless they occur several lines apart, causes me acute dismay, and often obliges me to turn back and reconstruct a lengthy passage.’ But his prose doesn’t seem any the better for any of this. And sometimes you just wonder: after six lines describing his sadness about his pets dying, individually described, he says ‘Meanwhile, Nelly had died.’ The cat perhaps? No, his mother’s great friend, a person of considerable importance in his own youth, and someone he claims to have had the strongest feelings for. Much that the mind stores up is the rubbish of experience; but amid the debris certain images remain, like the marble foot planted on the flagstones of a crowded Roman street; and these significant images I have tried to link together in a continuous pictorial frieze. You may well feel you are none the wiser… Symbolic? Of something? But you end up thinking, a great plonking heavy awkward object. And the opening credits of Monty Python. 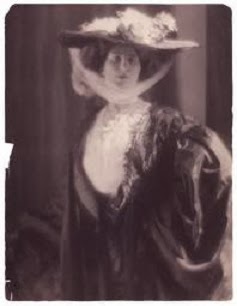 The top picture is Ada Leverson, the other two are Lady Ottoline Morrell. Moira - I always think it's so interesting that an autobiography reveals so much that perhaps the author doesn't realise s/he's revealing. What you say and don't say, and the way you write about others, reveal so much about the kind of person you are. And when it's an autobiography of someone like this, you do get some interesting insights on well-known people. Fascinating, even with that Monty Python bit. A bit too noir-ish for me......avoid I think! I meant to say Mitfords, but I think Mitforda might be quite a good collective noun. I keep looking out for a Peter Sussman - Mitford entry.......not going to disappoint me are you? This is a book I can safely ignore. Just not my thing. The ladies' photos are nice. Something you and Col have in common!